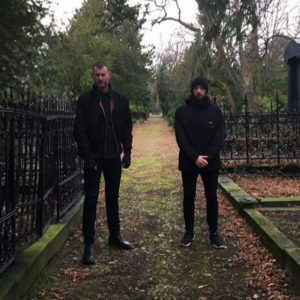 Matrixxman and Setaoc Mass are the guests this week for the return of Train Wrecks. Charlie Duff aka Matrixxman recently moved to Berlin after a 10 year stint in San Francisco. In recent years, he catapulted to towards the top of techno ladder with a ton of singles and an album on Ghostly. He recently co-produced the forthcoming Depeche Mode album while simultaneously working on his latest trilogy for Dekmantel. Sam Coates aka Setaoc Mass is another Berlin-based DJ and producer who has found success in recent years on Spencer Parker’s Work Them Records and his own SK_Eleven imprint. Recently, Sam has become a mainstay of Len Faki’s record label Figure, and as Sam explains on the podcast, that’s just the beginning!